Victoria Lazar’s parents escaped communist Romania in 1960 to make a new life for themselves and their daughter, ultimately landing in Houston, Texas. They came to North America equipped only with education, and the success of two immigrants in America fostered “a lifelong interest in diversity and advancement of people from different backgrounds,” she says. After studying Russian and government at Cornell University, Lazar earned a JD from the University of Chicago. 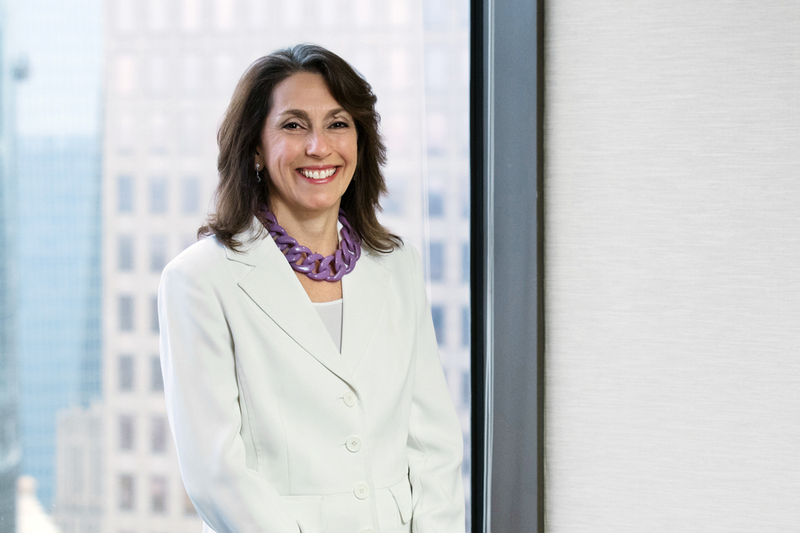 Though scheduled to work at the US Department of the Treasury, she decided to look for a job in Houston to be closer to her father, who was seriously ill. She had clerked at Baker Botts and joined the firm in 1990. During her six years there, she specialized in mergers and acquisitions, securities and corporate finance, working primarily with clients in the oil and gas industry. She advanced quickly and was given increasingly crucial roles, including in the 1996 split-off of Electronic Data Systems from General Motors, a $25 billion transaction. “EDS was an important client of ours and, at the time, this was the biggest corporate split in US history. It was a highly complex deal that ended up greatly benefiting EDS,” Lazar says. When GE’s oil and gas division merged with Baker Hughes, one of the largest mergers in GE’s history, Lazar was appointed integration manager. This meant she oversaw the combination of the two legal departments, involving 250-plus people and a $90 million budget. “The GE-Baker Hughes deal was huge,” she admits. “It required that we harmonize over thirty legal policies and 200 implementing regulations.” Lazar’s work was honored with the Texas General Counsel Forum’s Magna Stella Award for Best Major Transaction of 2018. For women who want to be corporate attorneys, Lazar recommends gaining business experience and admits that if she had it to do over again, she would have combined her JD with an MBA. “You need to understand how a company works, what the various departments do, and how to read financial statements. If you work for a public company, you need to familiarize yourself with the cadence—i.e., the timing of required reports,” she explains. As proof that she walks the talk, Lazar established GE’s Law Student Internship Program in Houston; has been an executive sponsor of the company’s Women’s Network, which encourages the hiring, retention and promotion of women; and is active in the Houston chapter of the Women’s Energy Network, which promotes the advancement of women in the energy industry. GE also sponsors STEM (science, technology, engineering and math) programs for high school girls.